BOIL the egg for 8 minutes, then shock them under cold running water. PEEL the eggs and set aside. FINELY slice the chives and mix with the cream cheese, season with salt and pepper. 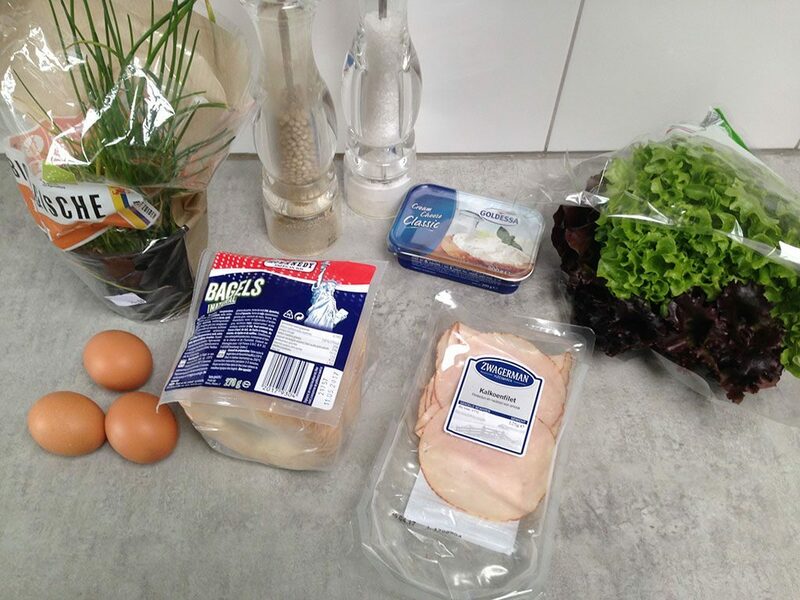 OPTIONALLY wash the lettuce of choice and dry it using a lettuce spinner. 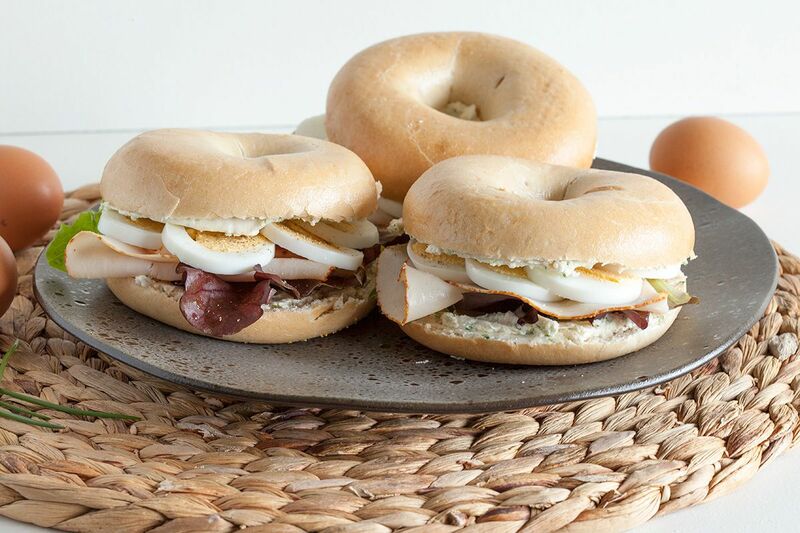 CHECK the package when using semi-raw bagels, skip to the next step when using pre-baked bagels. 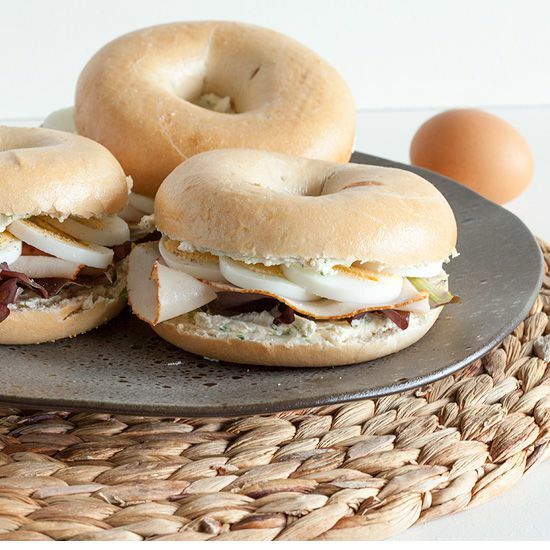 SLICE open the bagels and cover each side with the chives cream cheese. 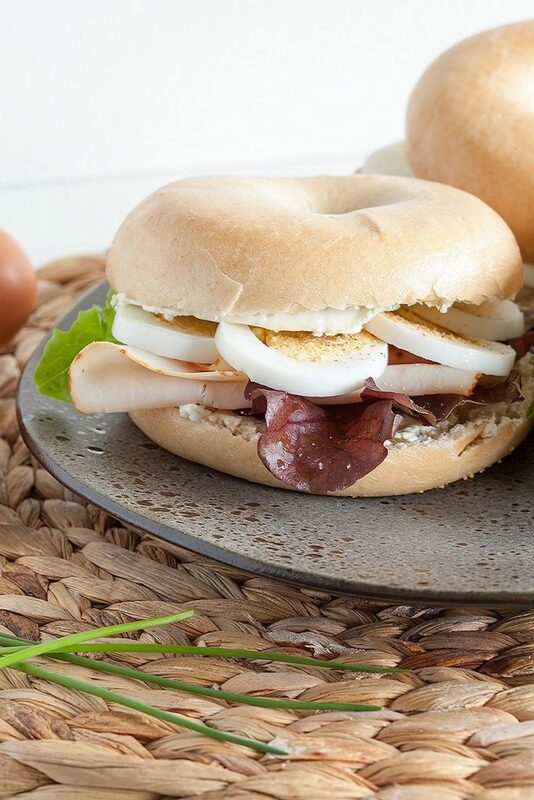 DIVIDE lettuce, 3 turkey slices and a boiled egg on each bagel. REPEAT this step for the remaining bagels. SEASON the egg with extra salt and pepper, enjoy!